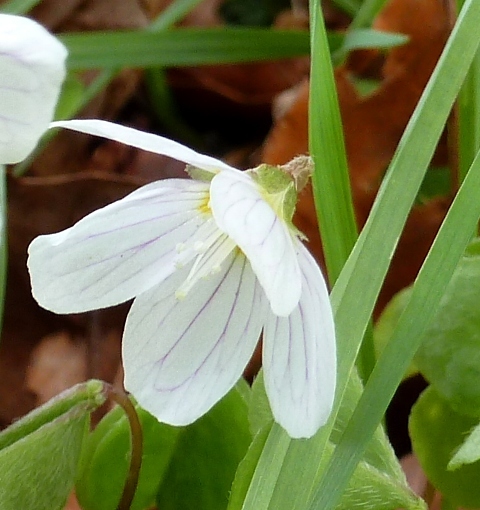 jardin-perdu / Lady’s Smock, Cuckooflower, Cardamine pratensis, Cardamine des prés. Lady’s Smock or Cuckooflower (Cardamine pratensis). 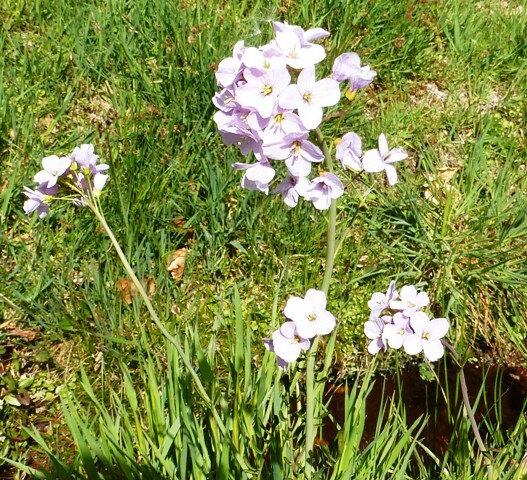 French name: Cardamine des prés. 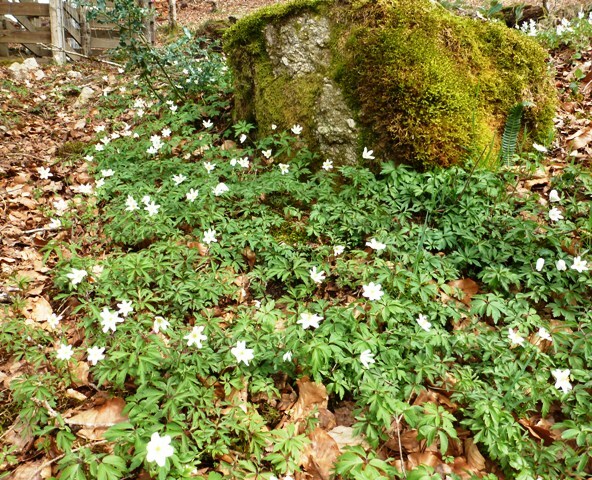 Yesterday we heard the cuckoo for the first time this spring in France so I thought it quite apt that whilst out walking we also stumbled upon a patch of Lady’s Smock or Cuckooflower, so-called as they can be found flowering from when the first cuckoos of spring arrive until they depart. 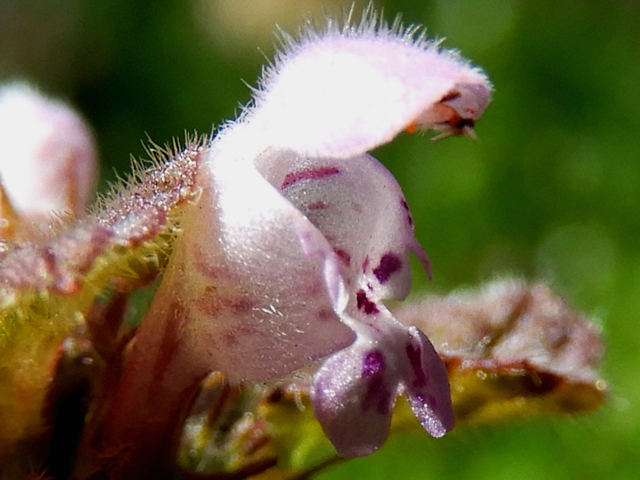 Dainty, pale lilac or white flowers measuring just 1-2cm across open on the ends of 20-40cm tall, slender stems from March – July. After flowering, long pods develop which when ripe explode to scatter their seeds. 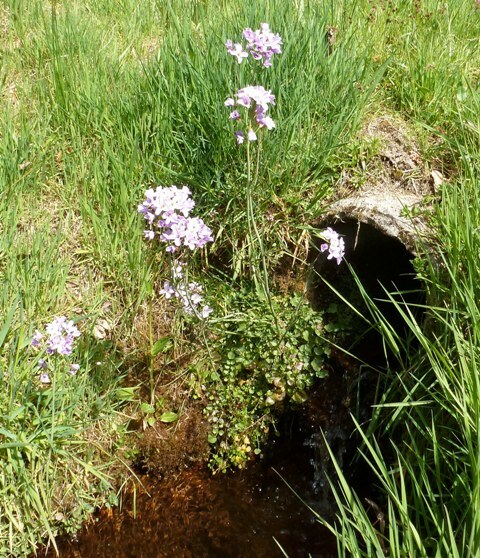 This is a charming wildflower which you will find thriving in marshy or damp ground especially along the sides of streams and ditches. Preferring light to full shade, it can also be found nestled on the edge of cool woodland. Lady’s Smock is common throughout France with the exception of dryer, Mediterranean regions.